First ever Wheelchair Cricket Tournament in Bangalore. Greetings from Divyaang Myithri Sports Academy - Promoting Para-Sports & Athletes. Divyaang Myithri Sports Academy (DMSA) is new start-up formed in May 2016 by a team of Para- athletes to address the issues and challenges faced by an Athlete while representing India. The core existence of Divyaang Myithri Sports Academy is to encourage differently abled persons to take-up Sports at very young age and help the qualified para athletes to achieve their goal by providing training, specialized coaches, infrastructure, equipment’s and assists financially to participate in National and International events and eventually Paralympics. One of common challenge in para sports is when we lack introduction to the particular sport, addressing to this Divyaang Myithri Sport Academy has come up an Inaugural Event of introducing wheelchair cricket through tournament in 29th & 30th April 2017 at Bangalore. 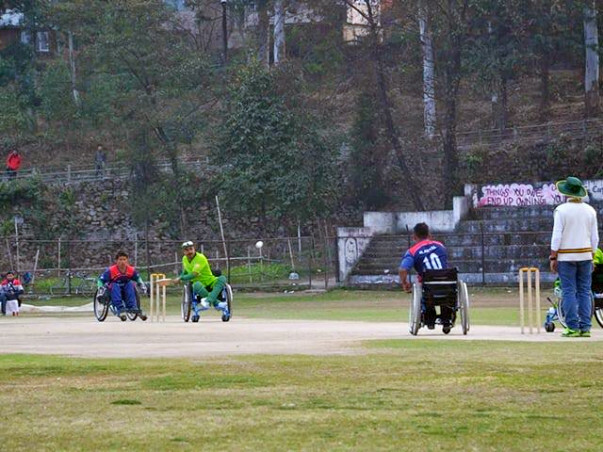 As we all know cricket is a popular sport in India and there are various differently abled cricket formats like blind-cricket and standing-cricket for differently abled but we want to everyone to understand existence of Wheelchair cricket and give great impetus to penetrate wheelchair cricket across India. We wish our initiative will be a great leap in pushing wheelchair cricket across pan India, as every Indian is likely bat, ball, and field irrespective of their disability. Thus, we wanted to fulfill their dream and spread wheelchair cricket across India. Divyang Mythri Sports Academy (DM) as part of our formerly launching our NGO to challenging world, we would be conducting national level interstate wheelchair cricket tournament. Tournament will be played with high level competiveness (matting pitch and leather ball). Short format one day tournament league matches will be played for 12 overs and Final match with 20 overs each side. UP, Delhi, Tamil nadu and Karnataka teams have confirmed their participation and budget/ expenditure for the tournament would be around 4,00,000 (Four lakhs) rupees approximate. Thank you for all the support. Withdrawal amount will be used exclusively for the Event expenses occurred. Dear Everyone, Thank you very much for the support towards campaign and we shall use the funds for expenditure towards the same.